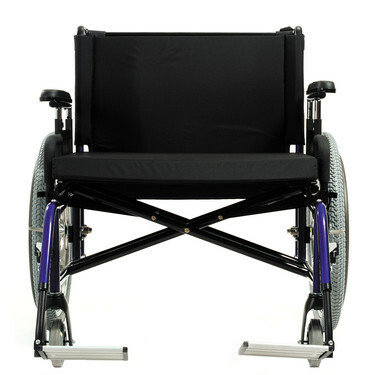 Modeled using ultra lightweight wheelchair design components, the Quickie® M6™ bariatric wheelchair features a high strength, modular frame with a 650 lbs. weight capacity that is custom built to your specifications. The M6's modular frame, modeled after the industry favorite Quickie 2, features high strength steel for increased durability. Its interchangeable, heavy duty components accommodate changing conditions with simple parts replacements. Each M6 is built to keep you active by individually maximizing comfort and efficiency. 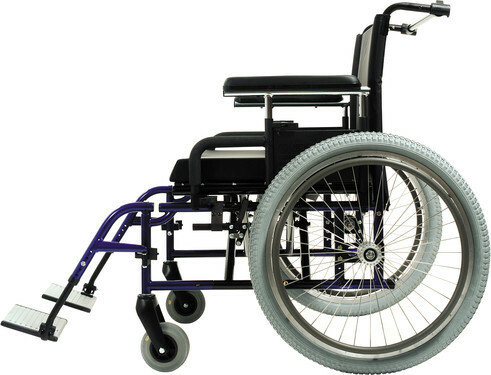 Its adjustable axle plate allows for better wheel access, while low seat heights increase access to the floor for foot propulsion. 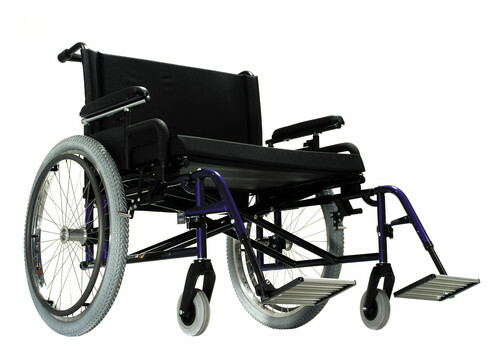 Select from a range of casters, front hangers, back heights, and handrims to suit your individual needs and lifestyle. The M6 utilizes a double locking crossbrace and stabilizer bar to minimize frame flex and create a more rigid ride quality. This ensures that more energy transfers directly from your arms or feet to the axles for the most efficient propulsion. User Weight Capacity 650 lbs. Average Shipping Weight 60 lbs. Seat Widths 22" to 30"
Seat Depths 18" to 22"
Front Seat-to-Floor Height 17" to 20"
Rear Seat-to-Floor Height 17" to 20"
Lower Leg Length Setting 11.25" to 17"
Back Height 16.75" to 20.13"
Arm Pads Desk - 10"